Too much attention is lavished on too few people in classical music. So here is an experiment in changing that. Oulipian writing is a form of constrained writing which imposes restraints on the author. For some time I have thought that everyone in classical music, including record companies, concert promoters, radio stations and journalists, would benefit from working under some self-imposed Oulipian restraints. So this post will not mention one person, musician or otherwise, listed in the index of either Paul Griffiths' A Concise History of Western Music or Alex Ross' The Rest is Noise. That choice of books will come as no surprise, but there is an additional and less obvious reason for including Paul Griffiths' volume - he has written an acclaimed Oulipian novel titled Let Me Tell You which is restricted to the vocabulary used by Ophelia in Hamlet. My path first crossed that of the American conductor Adrian McDonnell when he and John McLaughlin Williams collabarated with me to bring the music of their teacher Peter Paul Fuchs to the attention of readers a couple of years ago. This project resulted in a very widely read profile of Peter Paul Fuchs and an exclusive podcast of one of his works. Adrian McDonnell is based in Paris where since 1990 he has been artistic director of the Orchestre de la Cité Internationale. This is a training orchestra of young professional musicians from around the world that bridges the gap between conservatoires and the major orchestras. It is part of the pioneering Cité Internationale Universitaire de Paris, a residential campus for international students founded in 1920 by the visionary French statesman and humanist André Honnorat which has numbered Jean-Paul Sartre among its residents. The Cité Internationale Universitaire is noted for its artistic patronage and features buildings by several outstanding contemporary architects. L'Orchestre de la Cité Internationale in Paris has continued the tradition of patronage with some very interesting new music commissions. 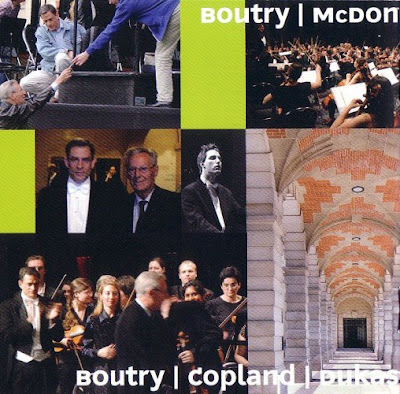 My graphics show a newly released CD from the orchestra which includes two works by French composer Roger Boutry (b.1932). One of these is a specially commissioned anniversary fanfare celebrating the university's founder André Honnorat (1868-1950): this follows my name game theme by linking the note values to the letters in Honnorat's name. Roger Boutry won the coveted Prix de Rome in 1954 and his tonal and melodic music is influenced by the French Impressionist composers. One his best known works, the Divertimento for Saxophone is well represented on YouTube. Samples from the featured CD, which is on the L'Algarade label, can be heard here. The sleeve artwork in my header image shows that creativity and the CD jewel box are not mutually exclusive. Look at it close up and then from a distance. 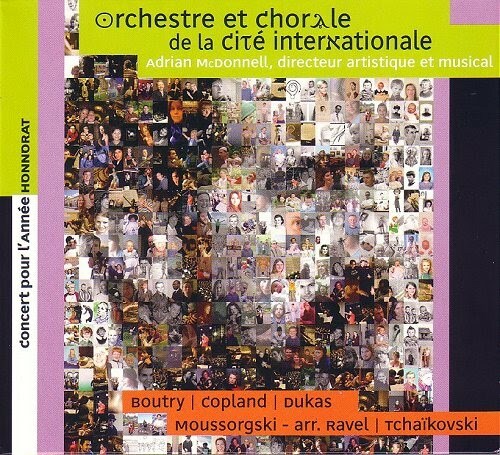 Another French composer who has benefitted from a recent Orchestre de la Cité Internationale commission is also a Prix de Rome winner. But Alain Weber (b. 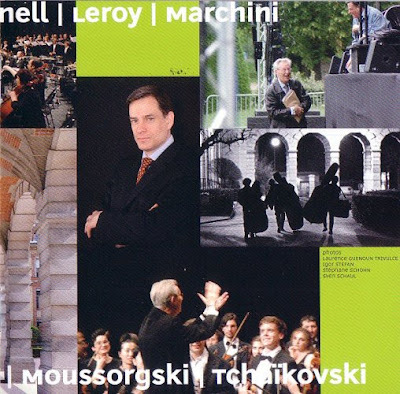 1930) writes in a very different style which embraces serialism and aleatoric techniques; samples can be heard here. Adrian McDonnell sent me a private recording of Alain Weber's Propos for string quartet and orchestra which was an Orchestre de la Cité Internationale commission in 2010. This is a work that deserves to reach a wide audience. This experiment with constrained writing has proved to be more than a dry academic exercise. Two interesting composers have been showcased, as has the work of an unsung orchestra, its conductor and its parent foundation. But most interestingly the self-imposed constraints completely changed the shape of the article, almost certainly for the better. Obviously the index of both books stopped me wasting words on the more familiar items on the featured CD. 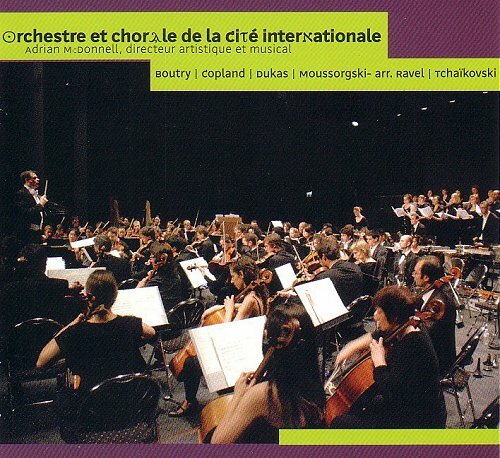 More obliquely but more significantly, the L'Orchestre de la Cité Internationale's new CD caught my attention because of the contribution the great humanist André Honnorat made to an important and notorious episode in early 20th century French history. But an index listing nuked that thread (thanks Alex) and changed the direction of the post. Less importantly other listings prevented me from mentioning one of Roger Boutry's teachers at the Paris Conservatoire and a famous architect with musical connections who contributed a residence at Cité Internationale Universitaire both. But no problem, I hope readers will agree the result is a worthwhile post which shows that articles on contemporary classical music do not have to revolve around the same few familiar names. Paul Griffiths has sent me an email in response to this article which says in seven words what I struggled to communicate in almost a thousand -'Oulipian constraints work in fact as liberations'.